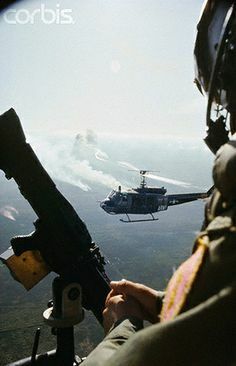 Basic training for a dangerous job. 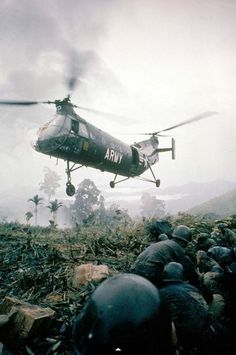 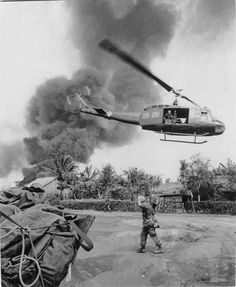 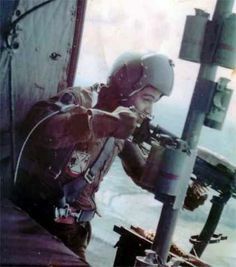 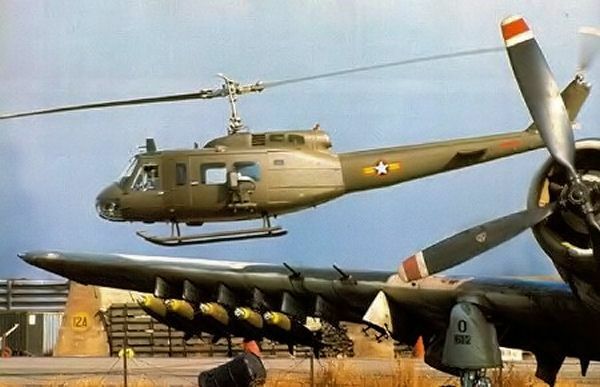 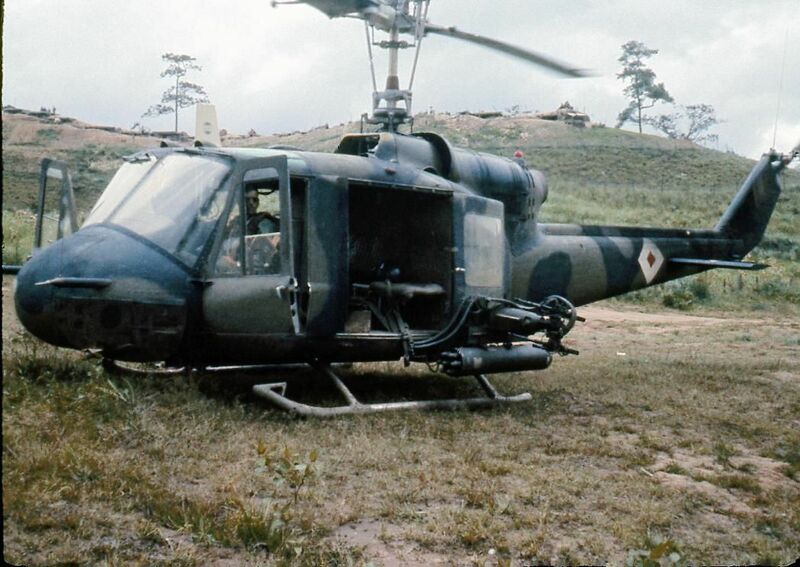 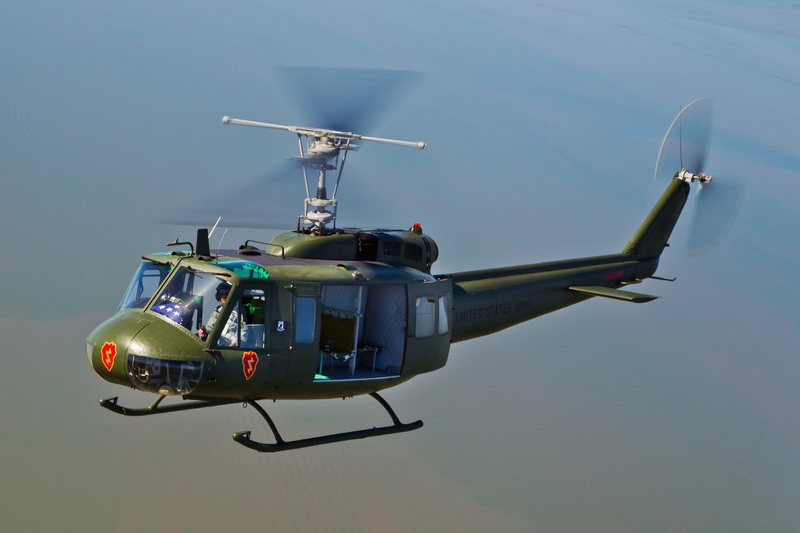 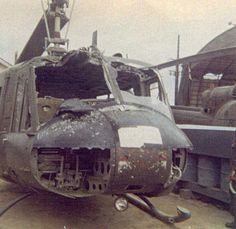 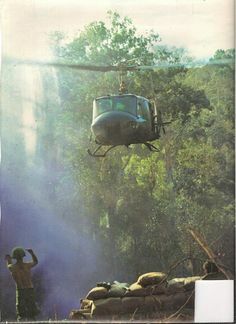 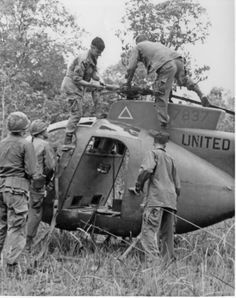 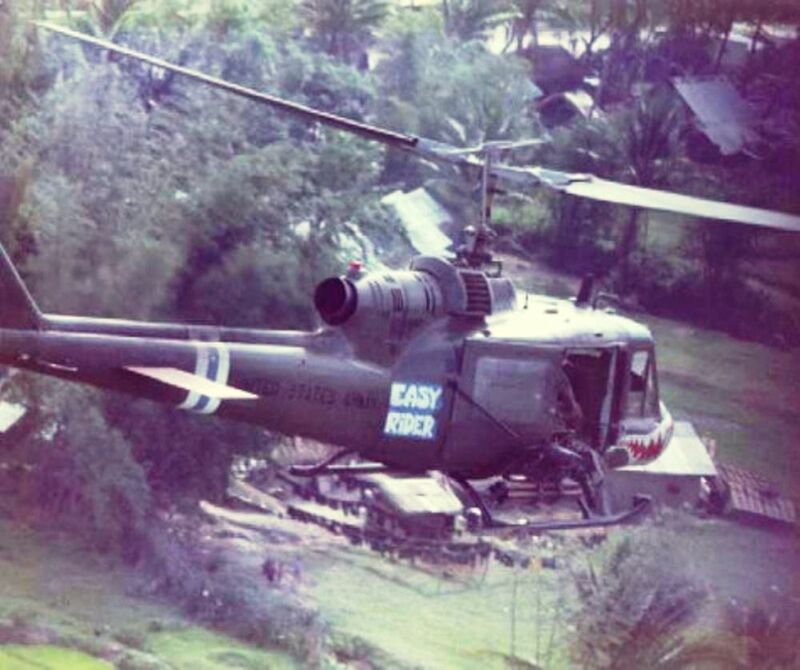 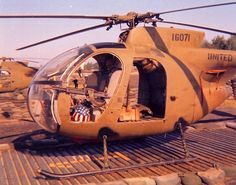 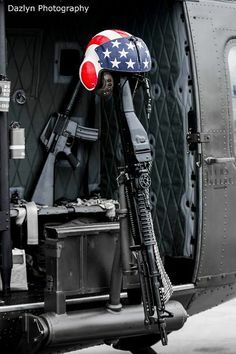 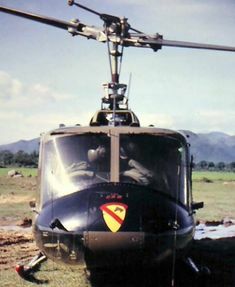 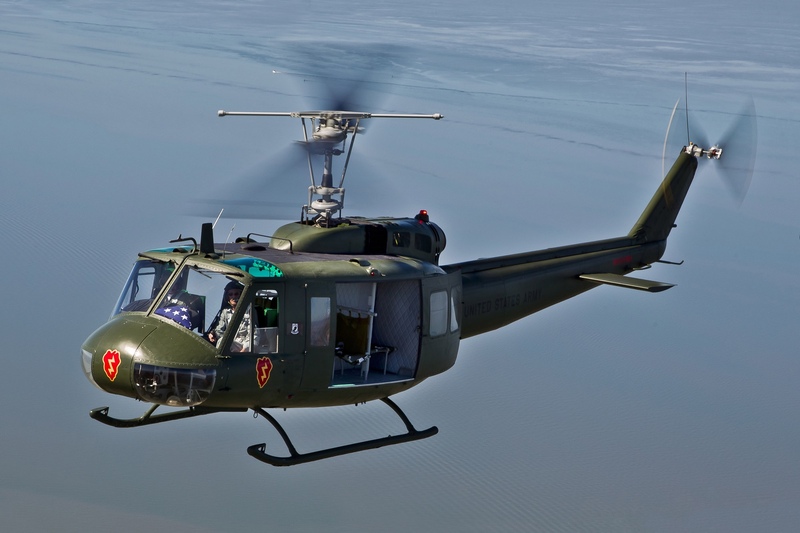 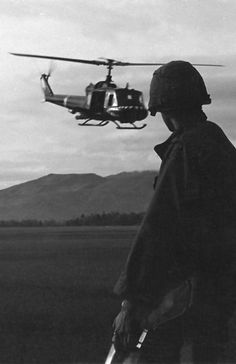 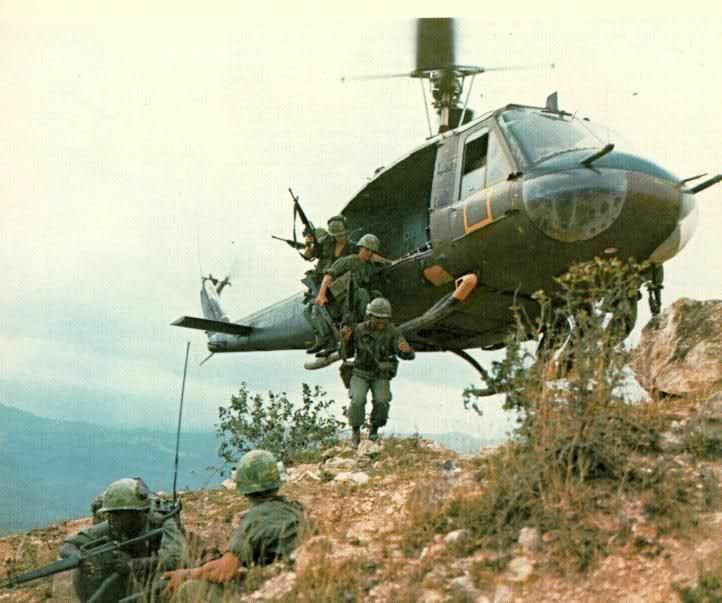 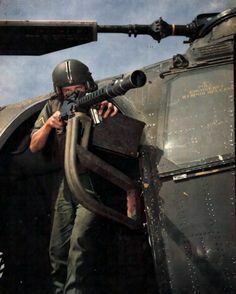 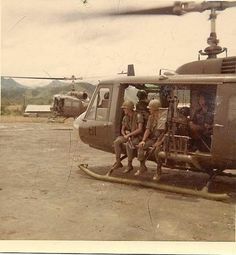 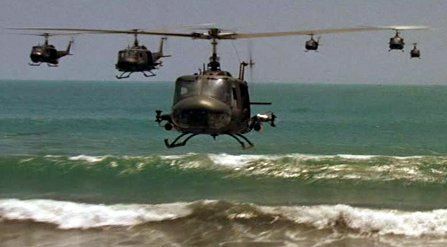 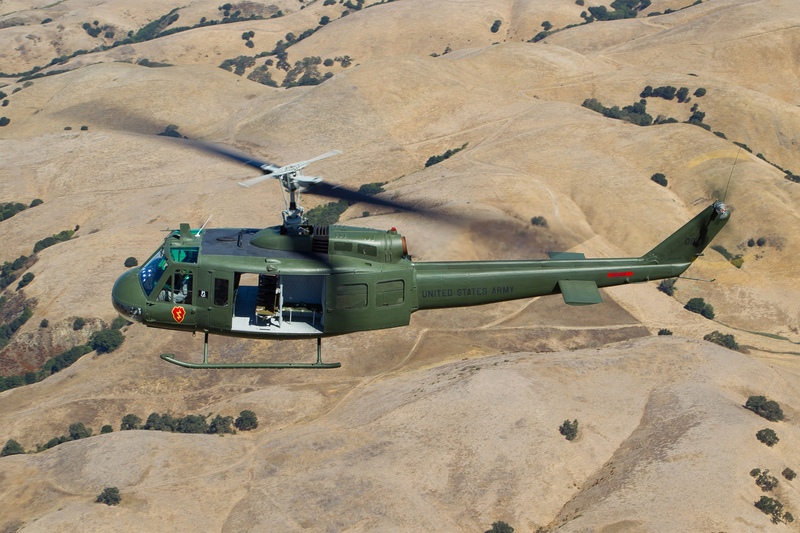 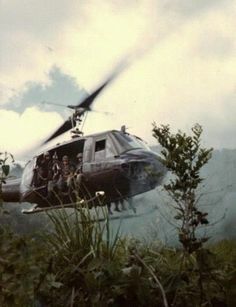 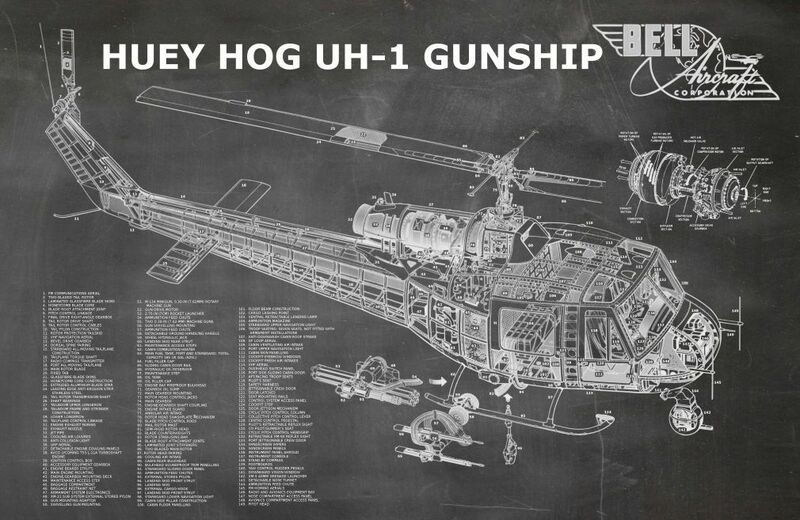 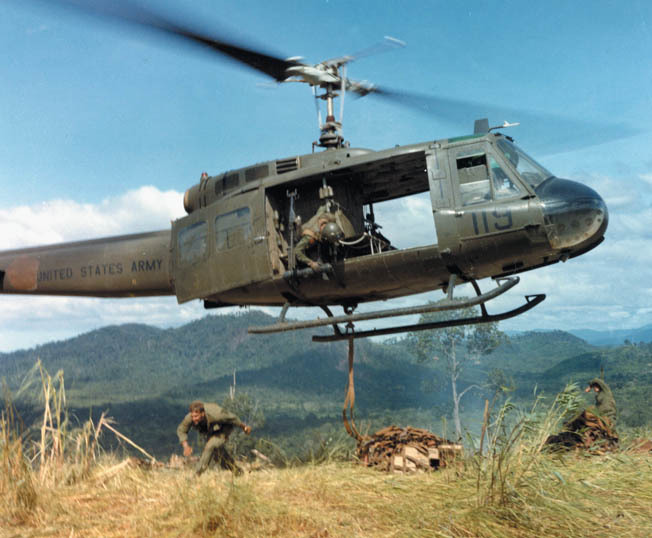 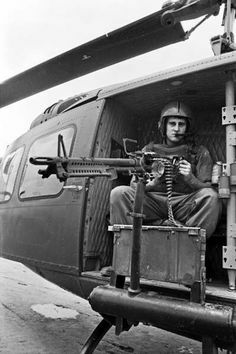 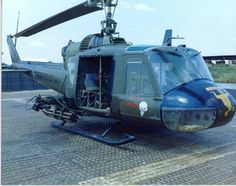 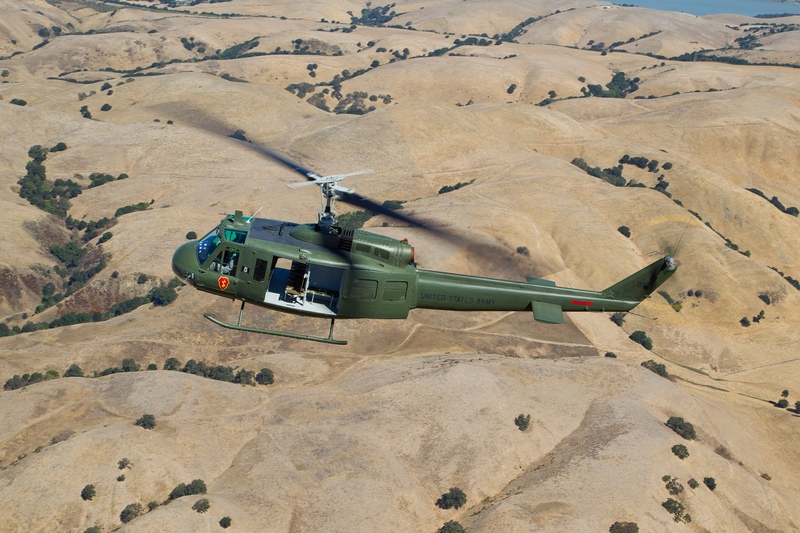 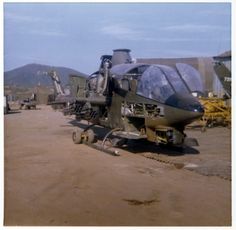 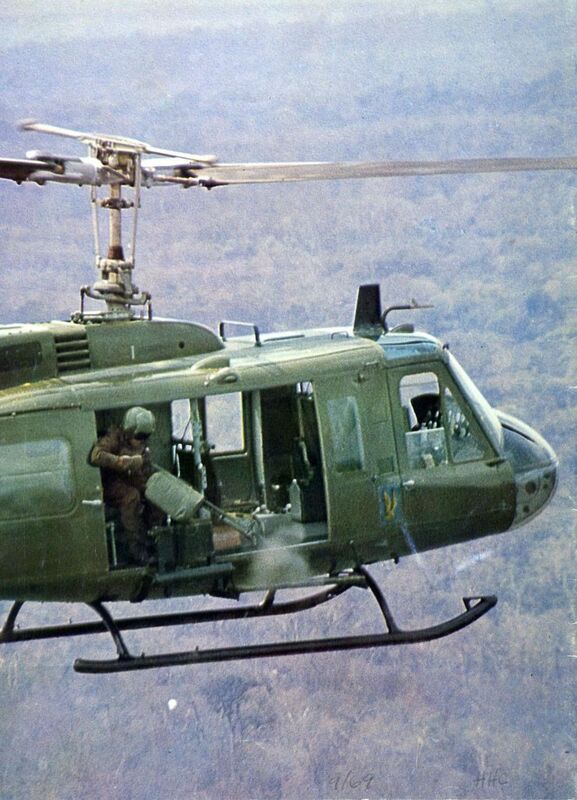 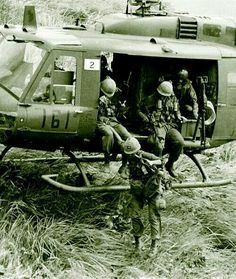 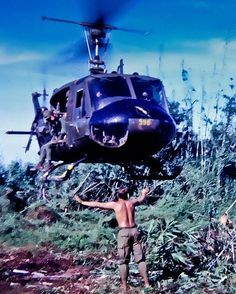 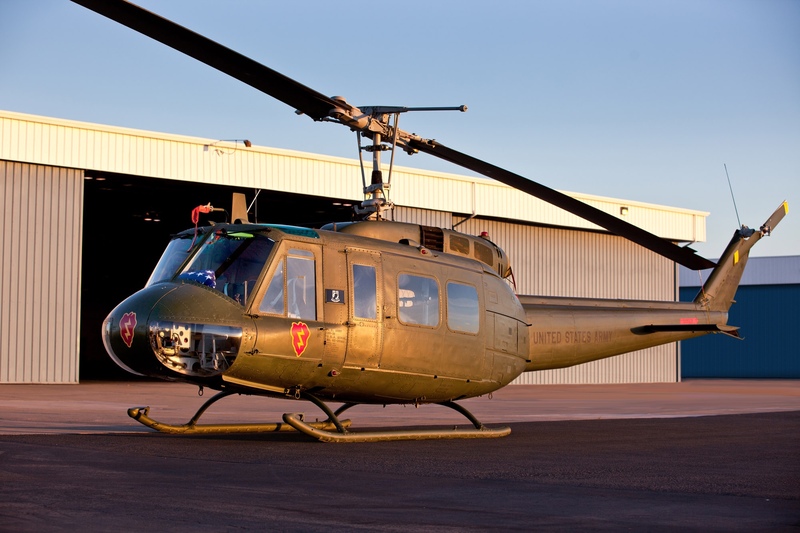 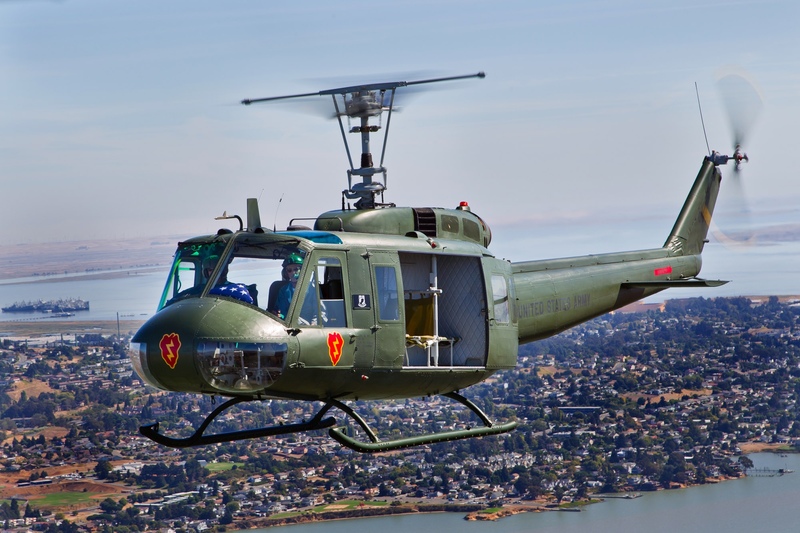 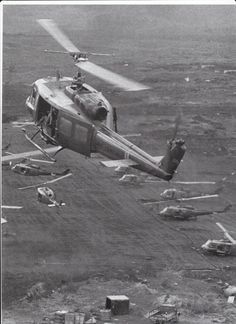 U.S. Army Bell UH-1 Huey Gunship. 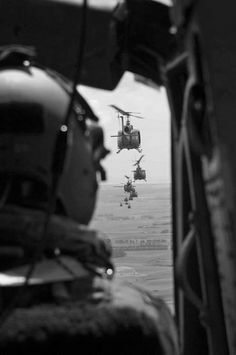 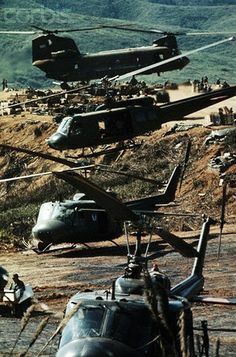 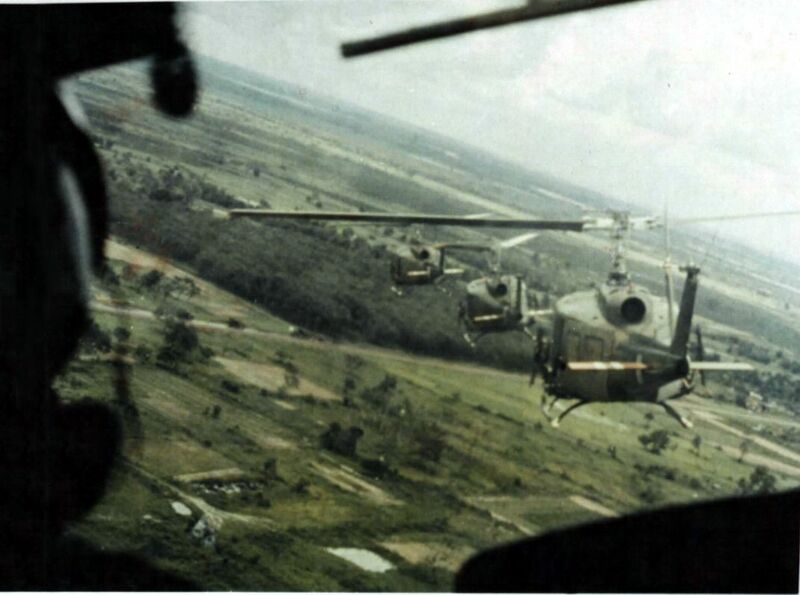 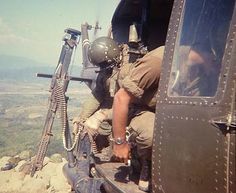 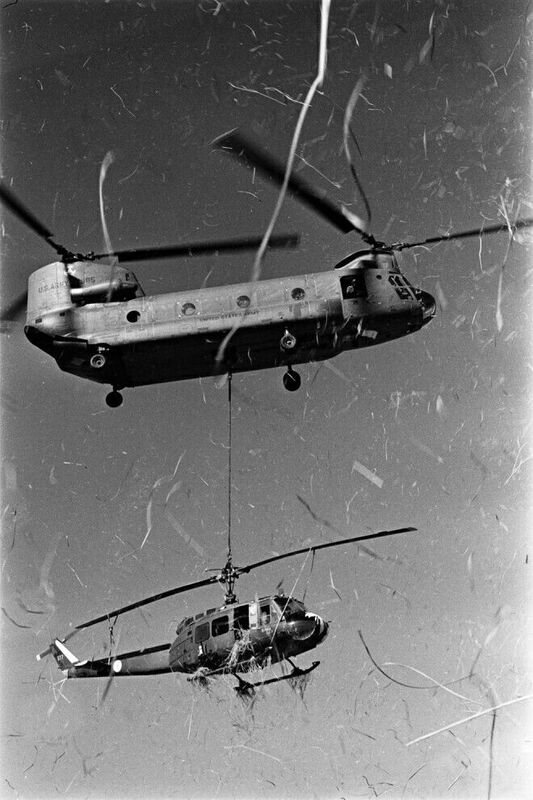 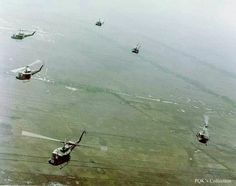 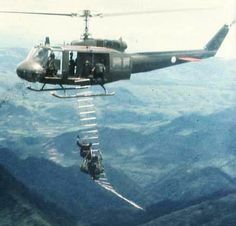 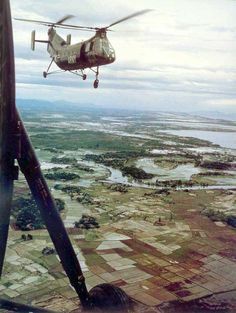 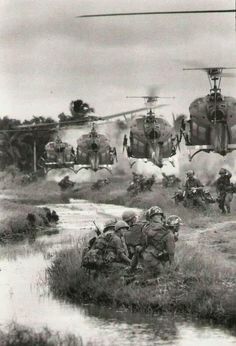 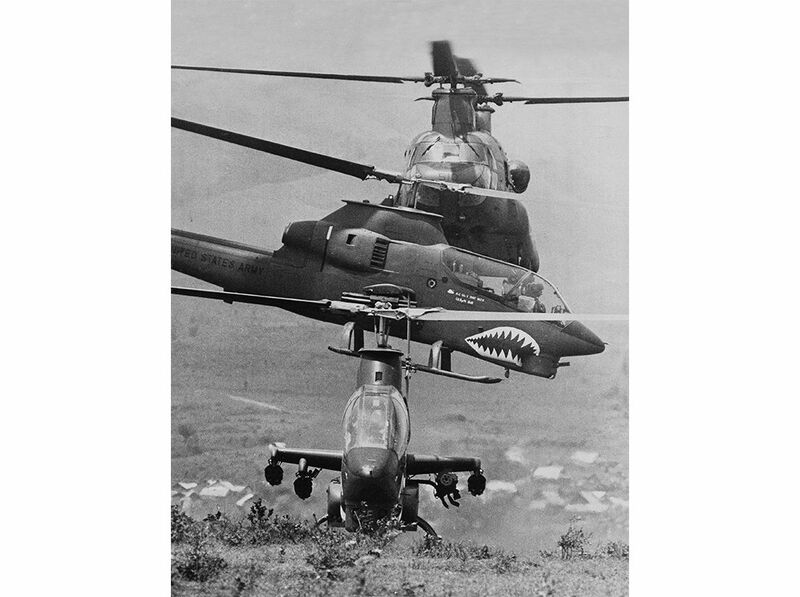 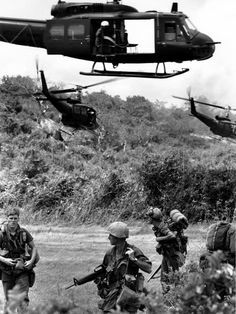 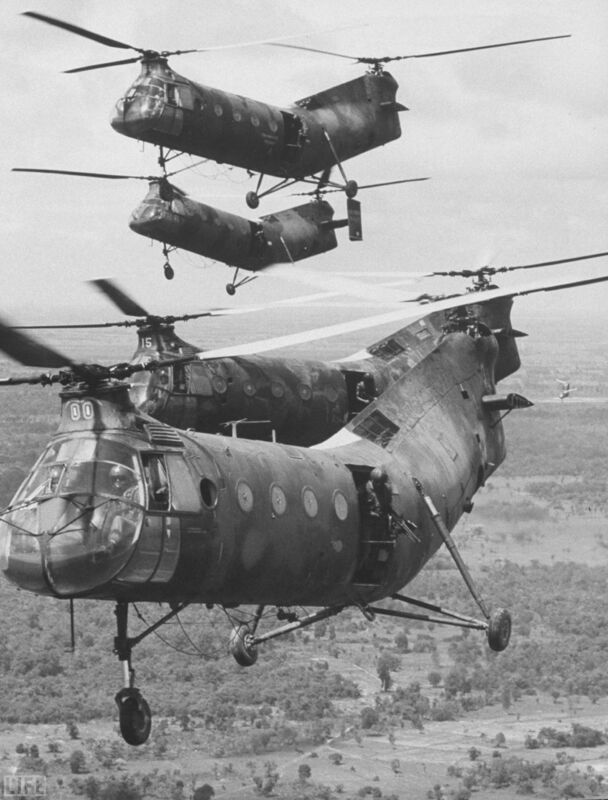 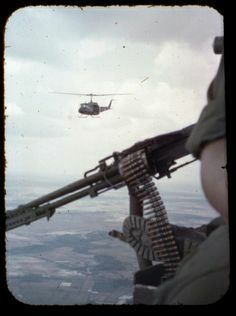 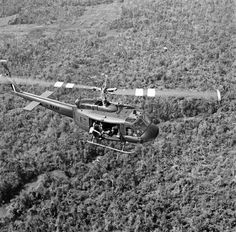 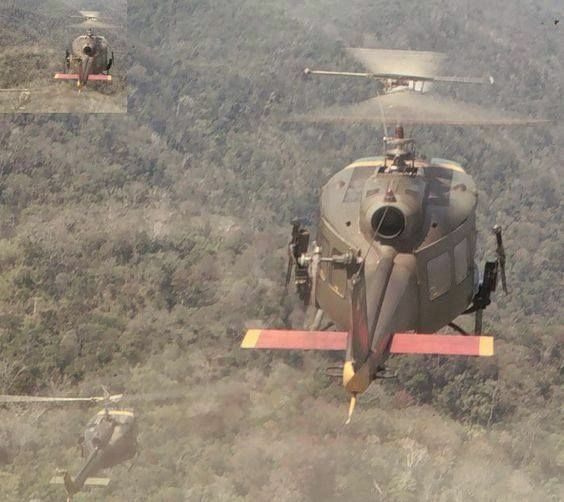 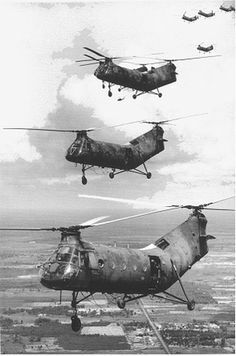 South Vietnamese Air Force UH-1 "Huey" helicopter and A-1 "Skyraider"
Bell Iroquois (Huey) helicopters in flight over Vietnam. 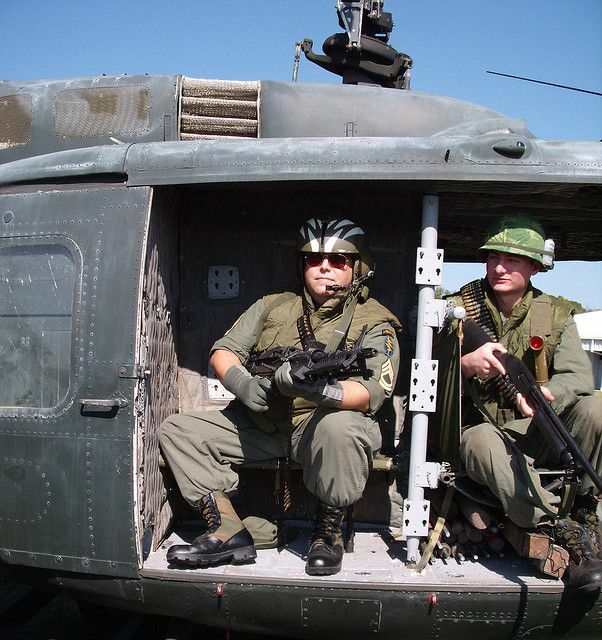 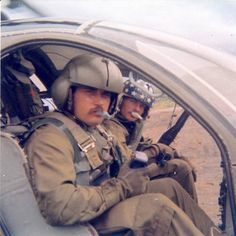 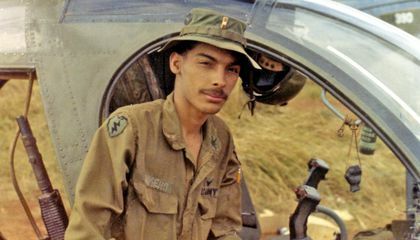 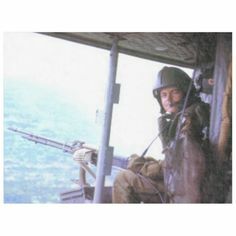 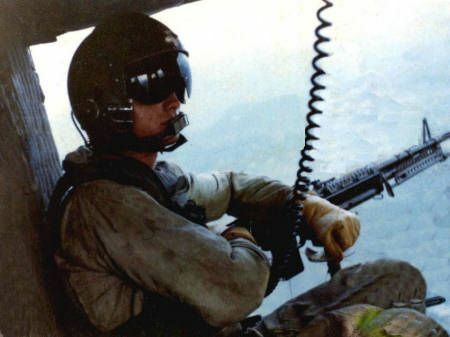 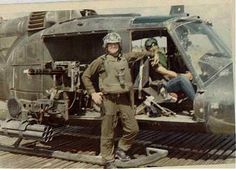 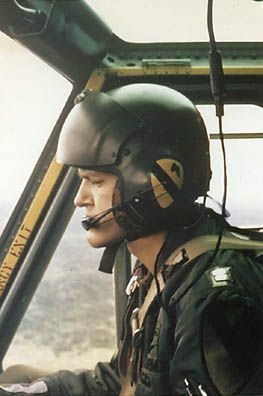 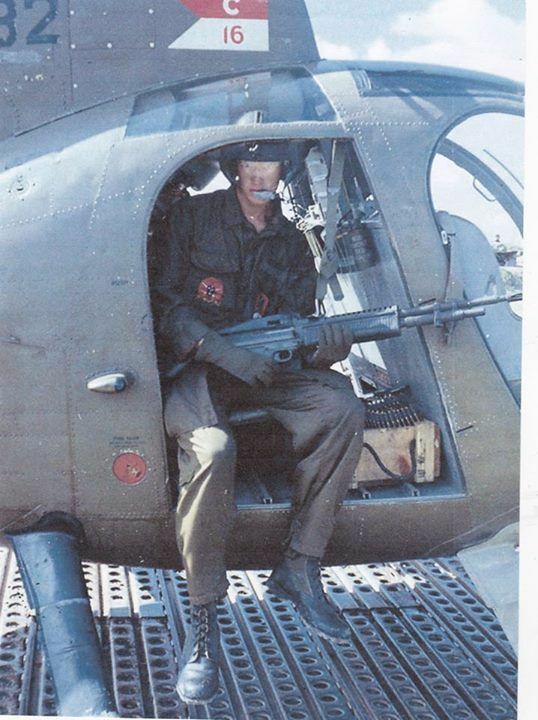 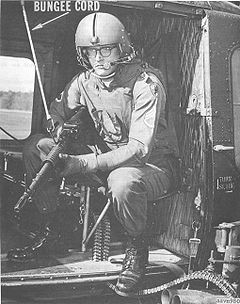 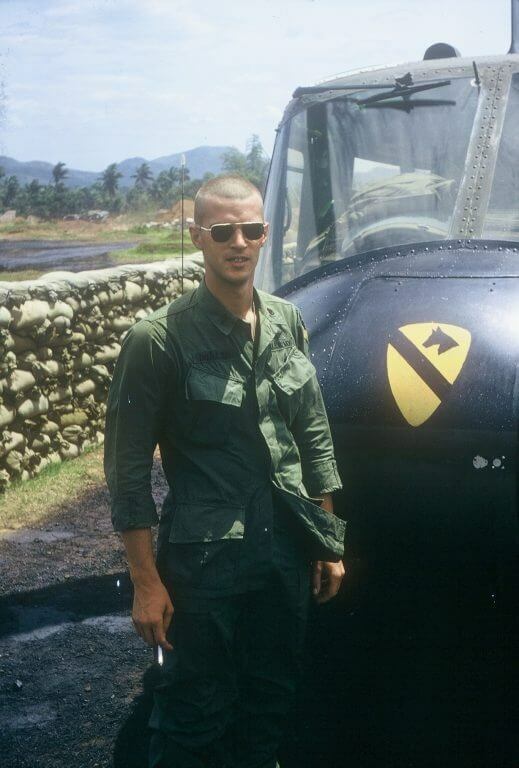 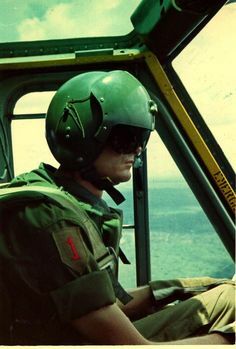 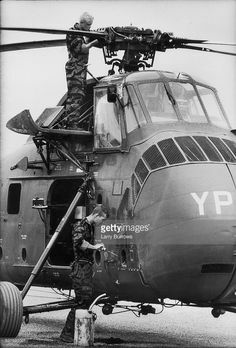 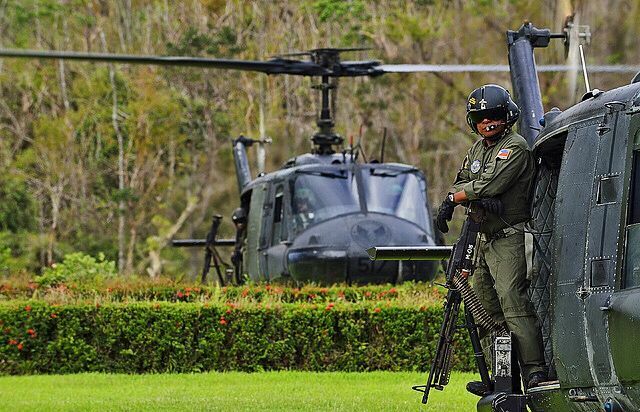 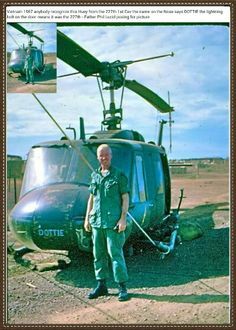 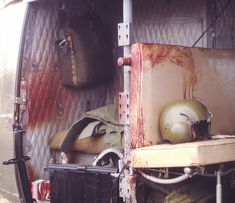 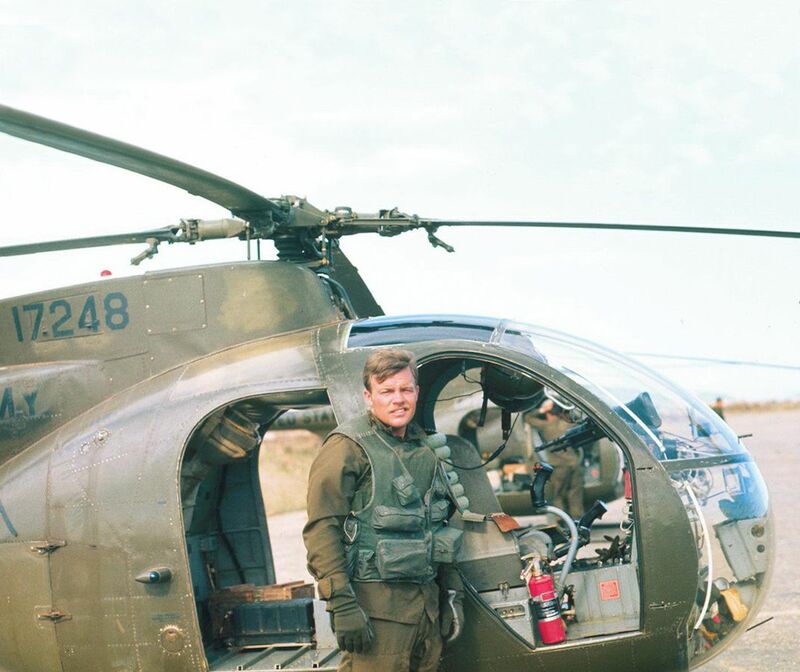 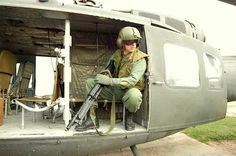 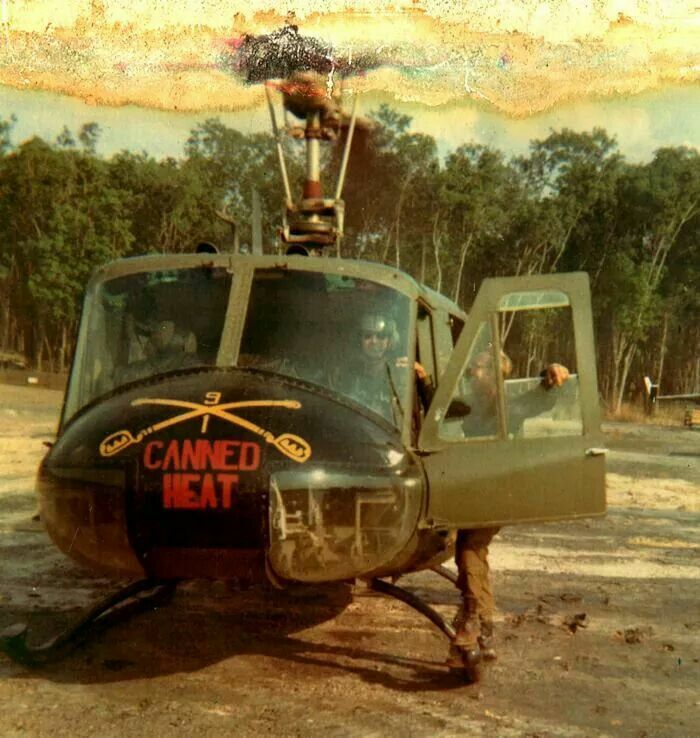 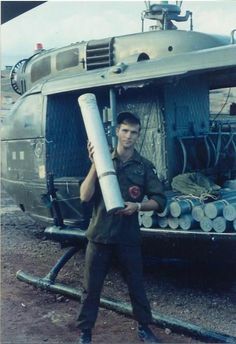 Young soldier in uniform and aviation sunglasses standing beside a helicopter. 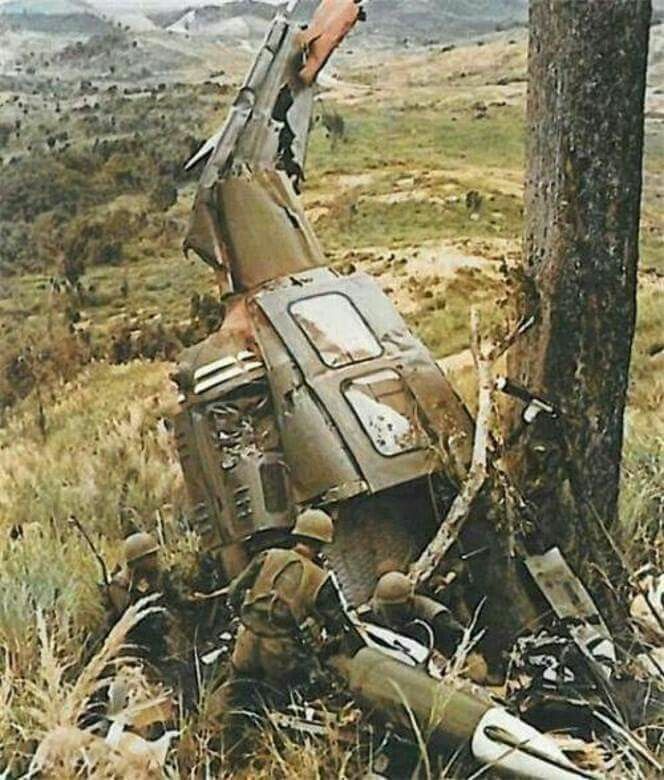 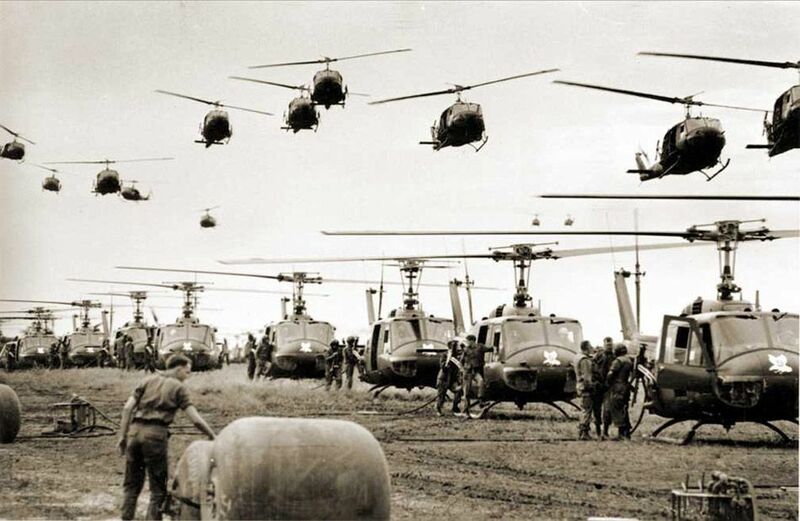 A tribute to the Vietnam War. 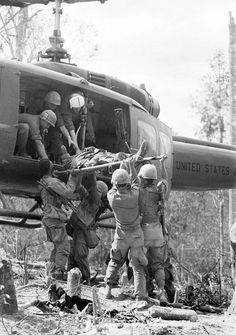 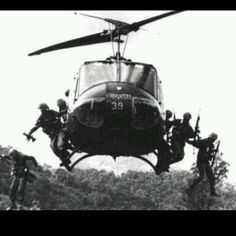 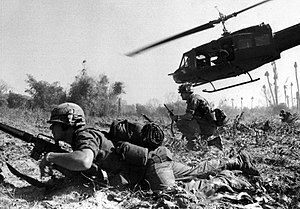 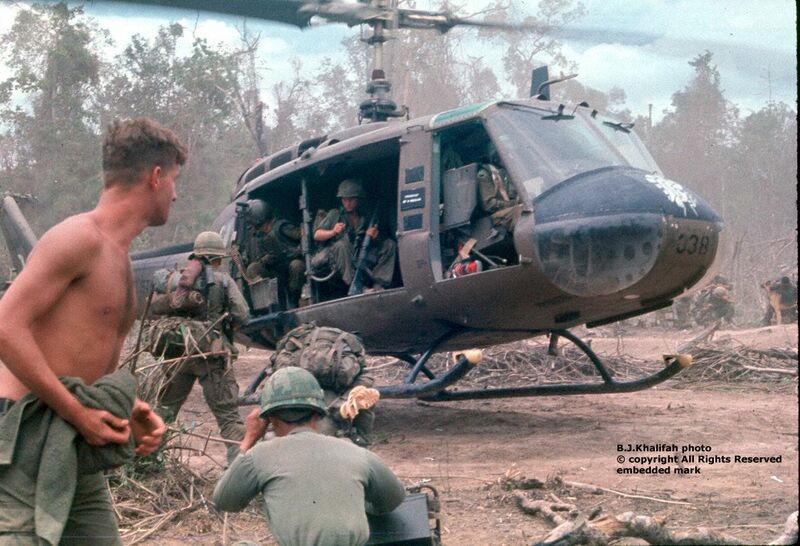 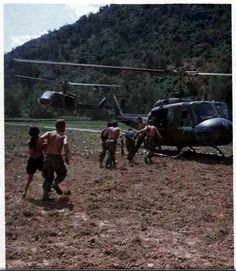 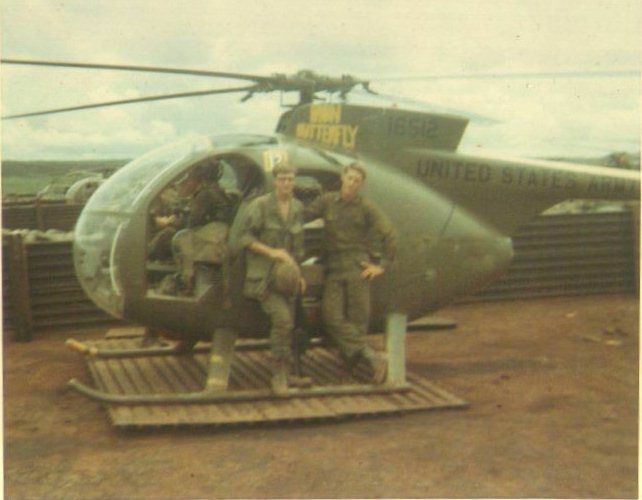 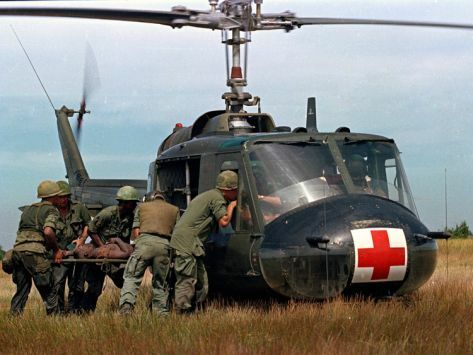 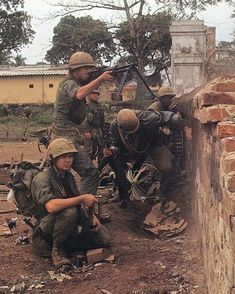 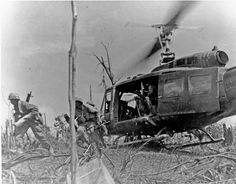 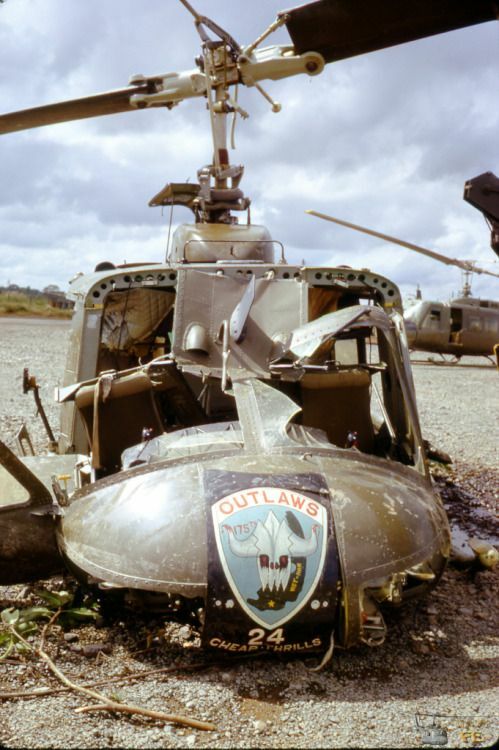 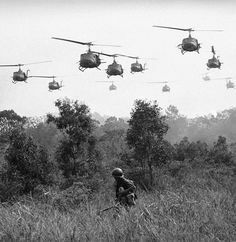 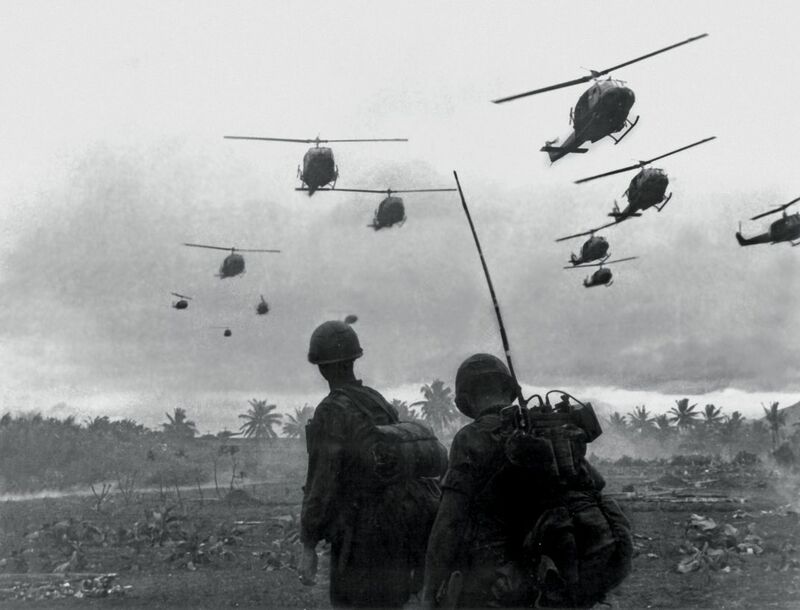 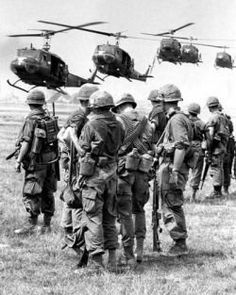 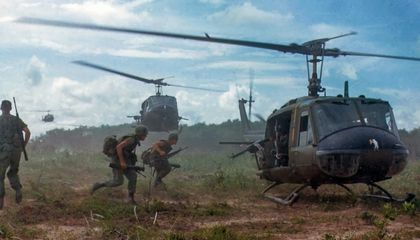 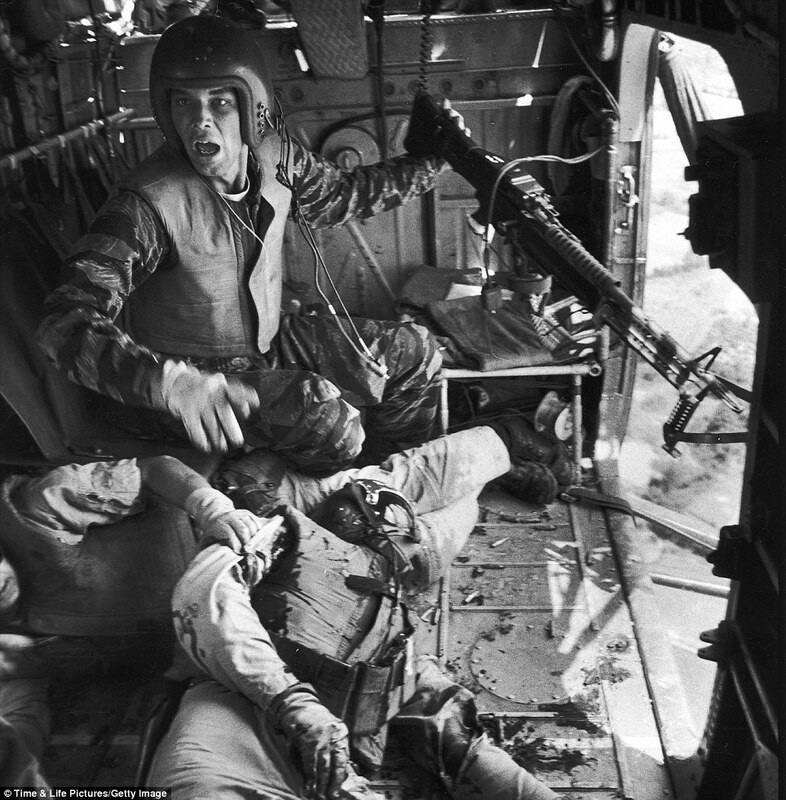 "No event in American history is more misunderstood than the Vietnam. 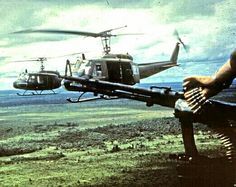 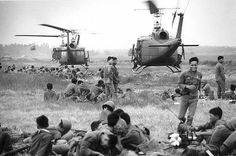 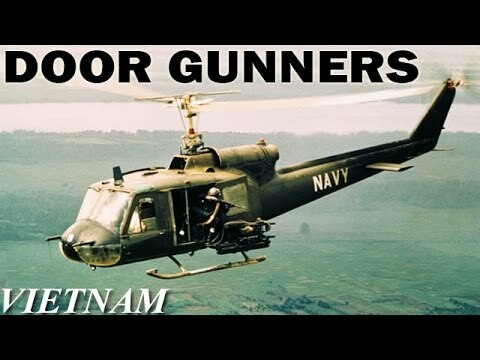 The US Department of Defence produced the propaganda film Why Vietnam? 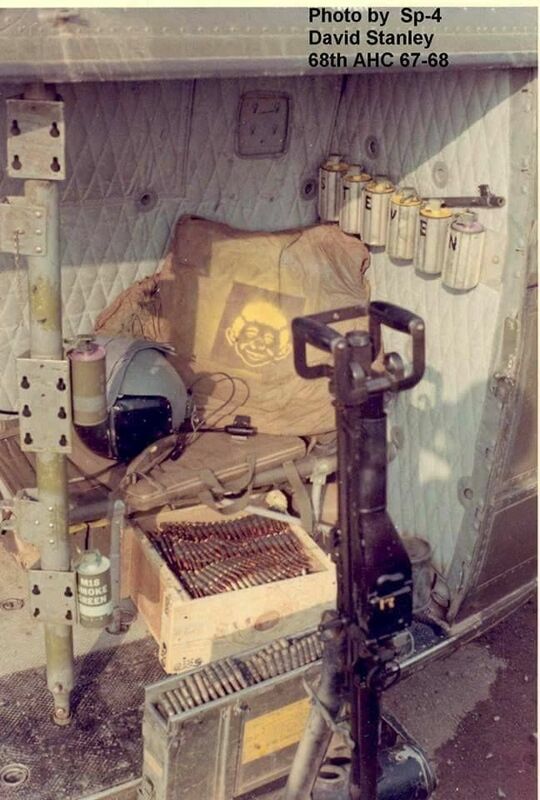 to boost support for the war. 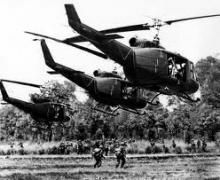 Watch it here on HistoryHit.TV.